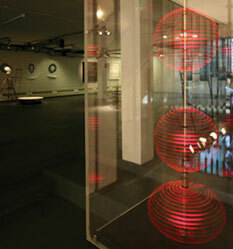 This sculpture is a playful piece that satisfies my long fascination with animation. 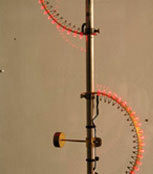 The spinning spheres are spun while switched in sequence to give the effect of a bouncing ball of light. I hope to make a huge one which will extend form floor to ceiling.